The three-year NBA veteran played for Besiktas in Turkey this past season. He averaged 6.7 ppg and 4.7 rpg with the Brooklyn Nets in Orlando. He’s playing with the Los Angeles Clippers in Las Vegas. Averaged 15.8 ppg and 5.2 rpg for the Detroit Pistons in Orlando. He is a free agent after playing his first three seasons with the Pistons. After three seasons in Europe, he is trying to catch on with the Dallas Mavericks. Signed by the Memphis Grizzlies last December, he had an encouraging rookie season and is playing for the Grizzlies in Las Vegas. Played in Latvia last season and is with the Washington Wizards in Las Vegas. The final pick of last month’s NBA draft by the Los Angeles Lakers, he is with the team in Las Vegas. DALLAS – Playing in the NBA’s Las Vegas Summer League is nothing new for Micah Downs. In fact, this summer marks his third straight run there as the former Gonzaga star looks to find a home in the league. This time around, the Kirkland, Wash., native is playing for Dallas after suiting up for Phoenix in 2010 and Milwaukee in 2011, and he realizes it will be a much different experience this time. Dallas begins a five-game schedule today against Denver and the Mavs play their final game Saturday against San Antonio. There will be one other major difference for him this time around as this will be his first time in summer league as a father. Micah and his wife, who reside in Seattle, became parents for the first time in late May with the birth of their son, who is now 7 weeks old. 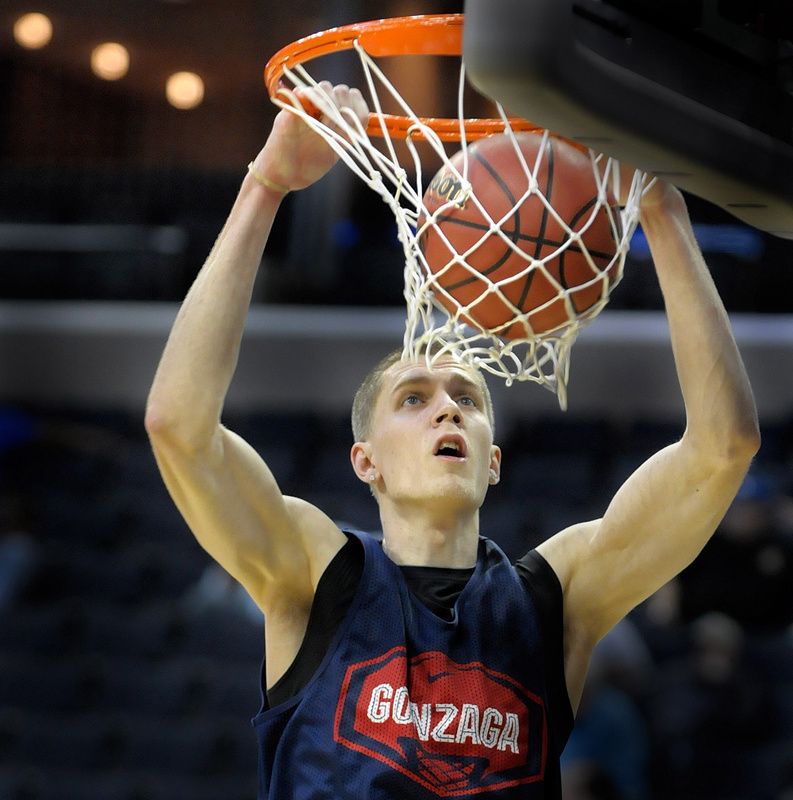 Now 25, the 6-foot-8 shooting guard has been playing abroad since his final season with the Zags in 2008-09. His first stop was Croatia, where he spent the 2009-10 campaign before heading to Belgium for a short time. He then ventured over to Spain in 2010 where he has played since. Last season, his first with Assignia Manresa of Liga ACB, Spain’s top division, was his best. Downs averaged 13.4 points and four rebounds a game to earn the ACB Rising Star Award, an honor given to up-and-coming players in the league. Ricky Rubio of the Minnesota Timberwolves won the award in 2007. Something else he’s picked up pretty easily is Spanish, which has also helped ease his transition to living and working in Spain the last few years. Though Dallas head coach Rick Carlisle only saw Downs for the first time earlier this week, he’s come away impressed with him after just a handful of practices. Downs is one of six ex-Bulldogs participating in the summer leagues in either Orlando (which has concluded) or Las Vegas, and being part of the Gonzaga contingent is a huge honor.